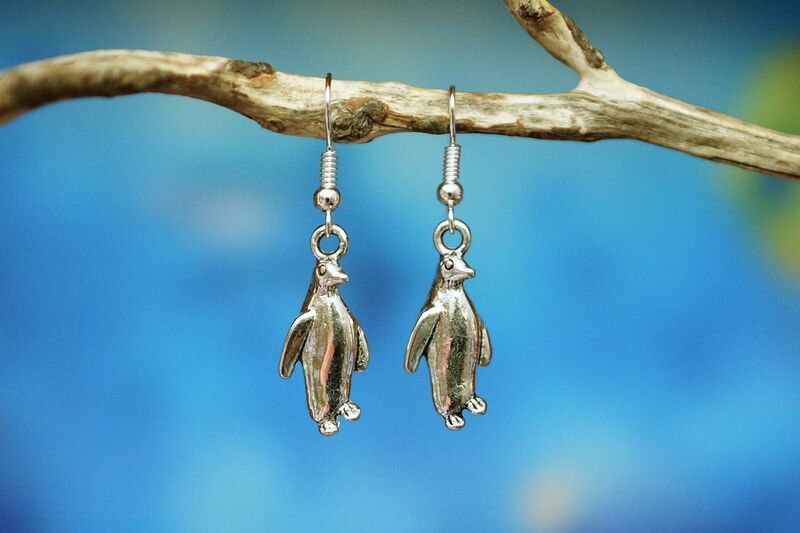 The delightful Little Penguin charm is made from Tibetan silver, the hooks are sterling silver plated and made into earrings here in Australia. The Little Penguin is the only species of penguin that lives in Australia. It lives up to its name and is only 33cm in height. It is found around the southern coastlines of Australia. Little Penguins are also known as little blues, blue penguins and were previously more commonly known as Fairy Penguins.